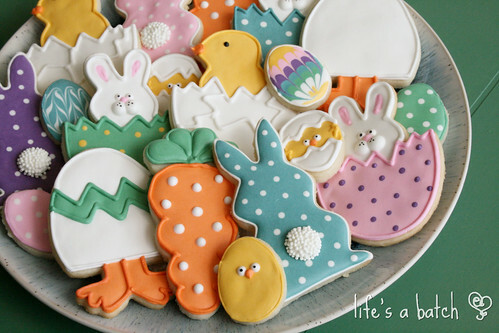 Hippity-Hoppity, Easter’s on it’s way! Easter 2013. How is it already possible that it’s Easter?! Where has 2013 gone, and how do I get it to S-L-O-W down?! My parents & sisters were able to visit over Spring Break, and on their last day here in Texas, we got a chance to “play cookie” together. Meaning, they each picked shapes & I cut out the dough as desired. Then I made an array of colors of icing, and we sat down at the table together to “play” with a few designs. I got a chance to use a few cutters that I’d never used before, and really just enjoyed decorating however I felt. Fun! 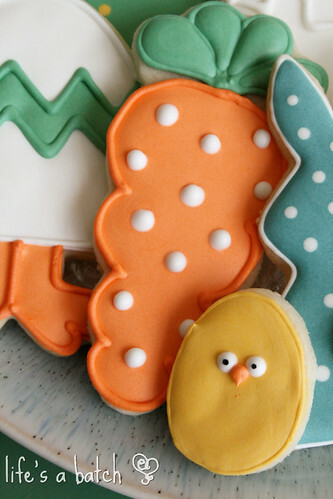 I love these simple little mini chicks that I first saw from Elizabeth at SweetArt Sweets, and they were perfect for my mom to make without too much trouble. She broke her wrist on Christmas Day, and while the break is healed, she is still recovering her strength. These chicks were perfectly cute without a bunch of piping necessary. 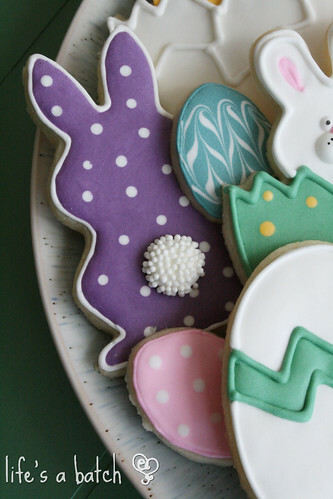 And the only thing I knew I really wanted from these little bunnies was a prominent tail. A few polka dots & some white nonpareils & ta-da! 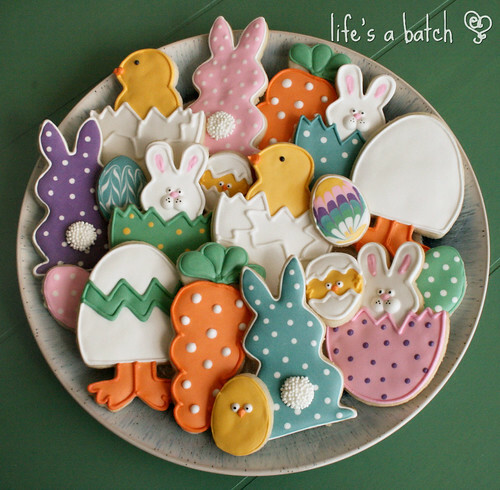 Cutie patootie bunnies! And I have to honestly say that it didn’t even occur to me when I was mixing colors that purple, green & teal were a bit non-traditional for Easter. However, my sweet friend Christy, of The Cranberry Cookie Shop, told me she loved the uniqueness of those choices… so let’s pretend I did it on purpose. I do really love how the whole set turned out! 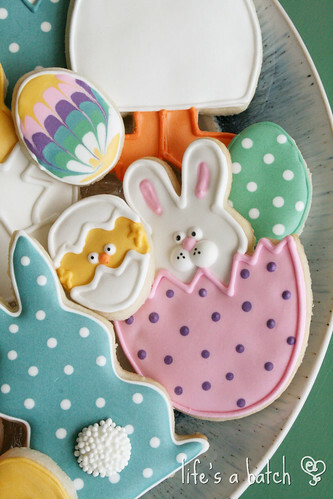 And the good news is that I *can* see improvement over the Easter set I made in 2011. 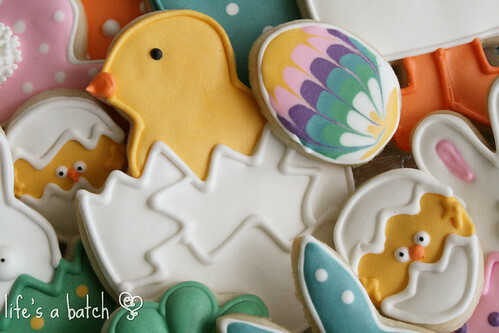 Here’s a link to a flashback, if you’re interested: CLICKY, EASTER CHICKY. « Hail to the Chief!